This photo gives an accurate picture of one of our meetings. Originally, we started with just three people... but now, we typically have at least 16 in attendance for each meeting! 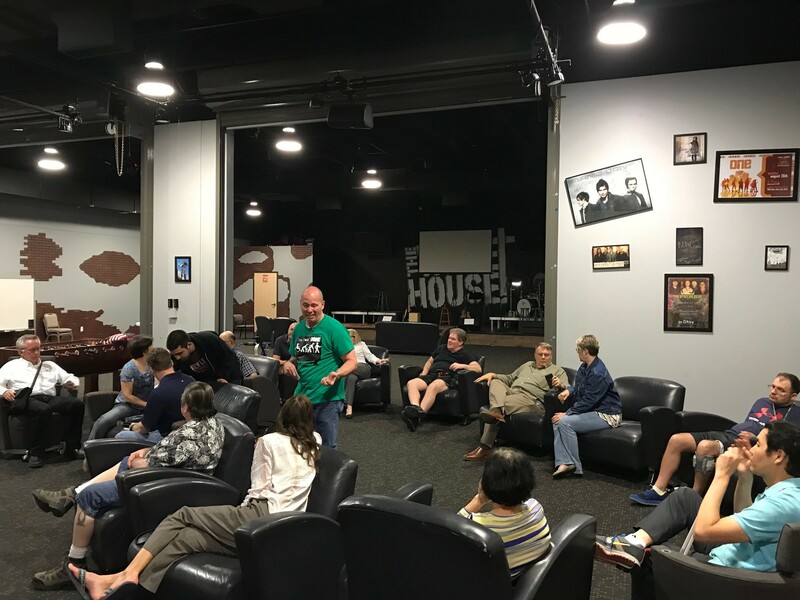 Gateway hosts this support group monthly in a friendly, social environment for all types of Brain Injury survivors and their families / caregivers. Members share their stories, hear guest speakers and informative messages. View meeting details, or contact at 713-805-7550. I have attended these meetings and find they are a great way to heal and share your own experience in what a survivor faces day to day. Everyone's injury is different, however it is a place where others understands the challenges and offer support to one another. We are blessed to have the Bay Area Brain Injury Support Group. Appreciate Gateway Church for supporting us and thank Curtis Matthias for founding the group. I am the oldest member that continues to attend the monthly meeting. My injury happened on May 14, 2004 at the University of Houston where I was hit by a Houston Metro Bus going 35 mph. Just wasn't my turn to go to Heaven. God has gone above and beyond with my healing. Love having the support of other members. Feel comfortable to come join us the first Tuesday of the month at 6:30 PM.